An elegant Maison Jansen attributed Louis XVI style bouillotte coffee or cocktail table, circa 1930s. 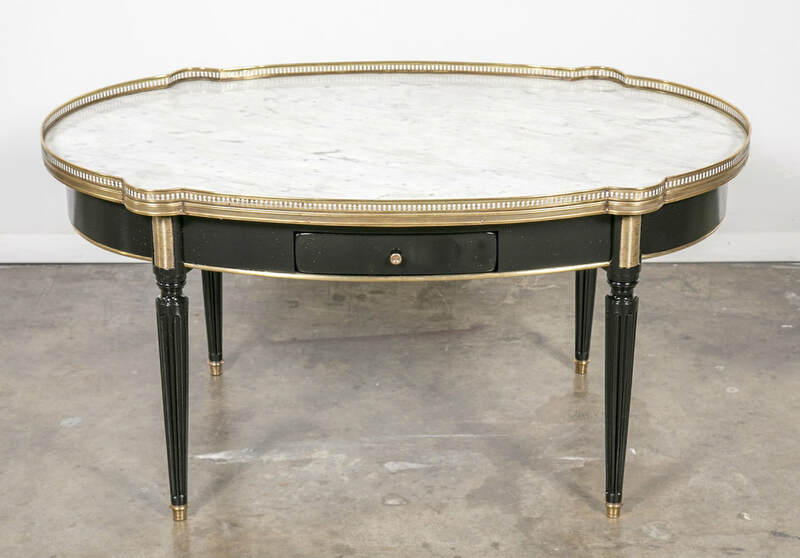 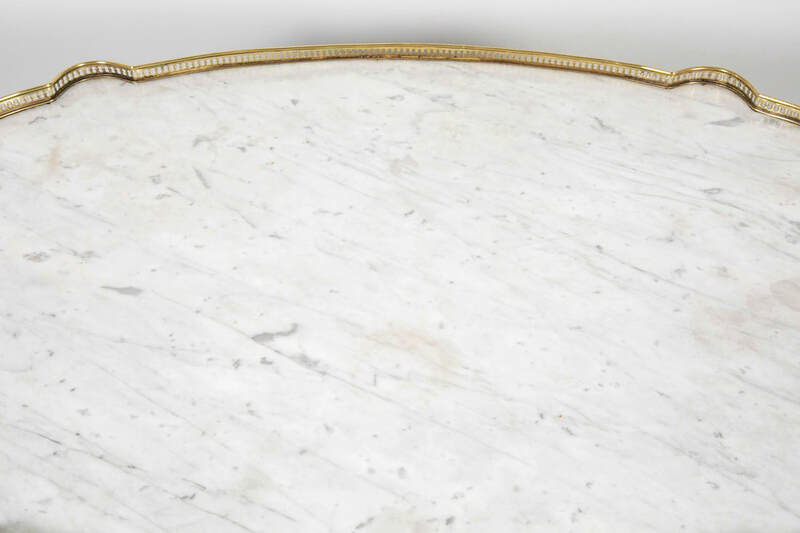 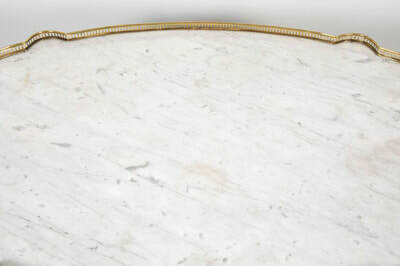 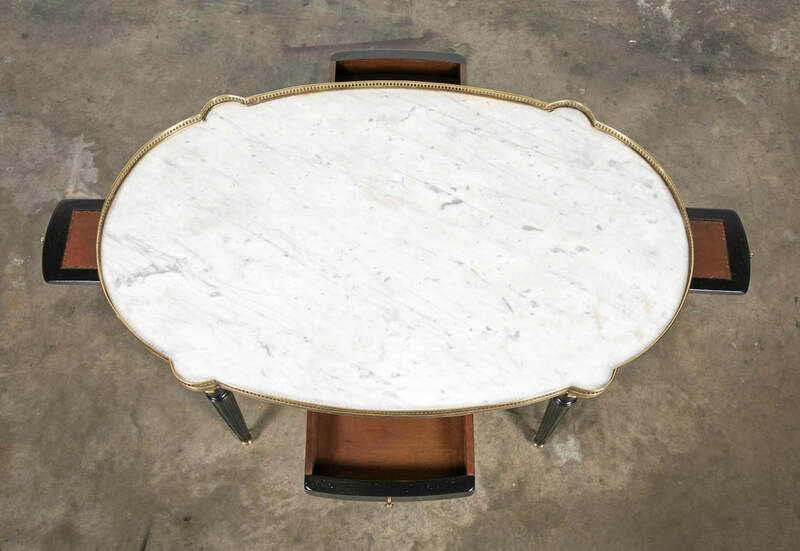 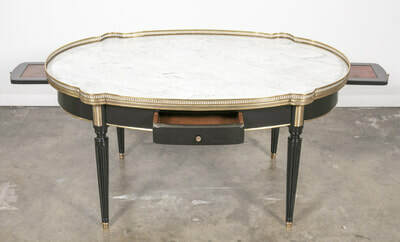 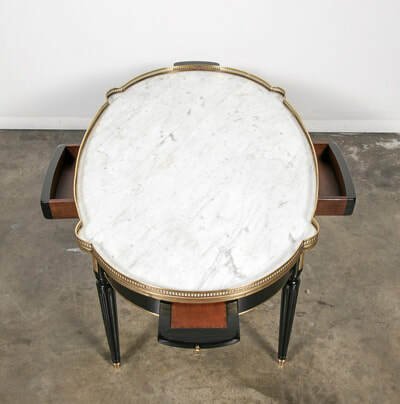 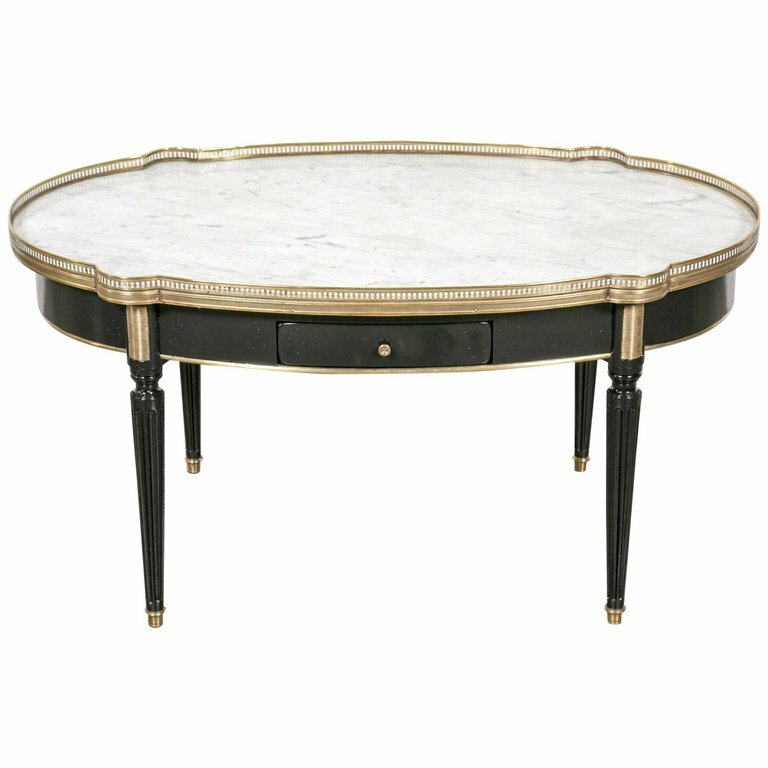 The serpentine-shaped neoclassical coffee table, ebonized with a lustrous French polish, is fitted with its original Carrara marble top and edged by a fretted and gilt brass gallery. 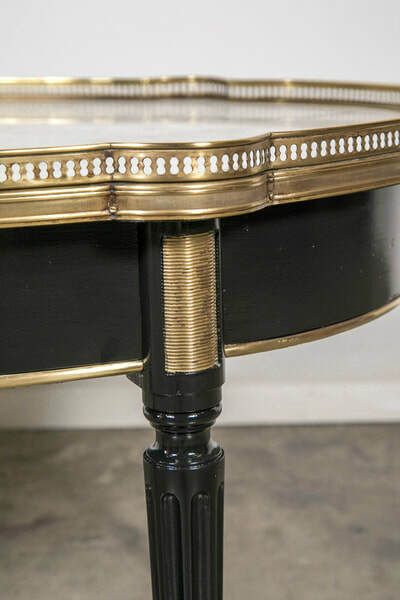 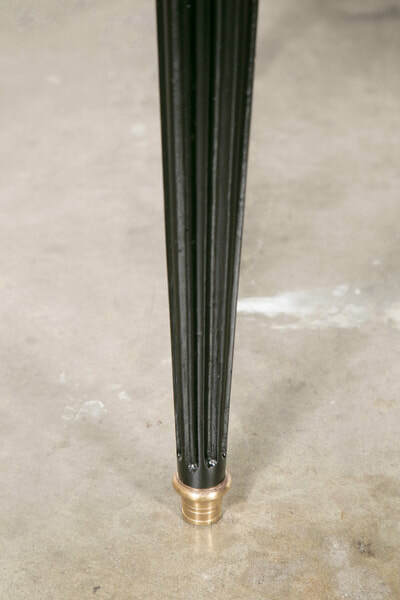 The tapering and fluted cylinder legs with bronze sabots support the bronze corner framed apron having brass trim and two drawers and two slides with embossed leather inserts. 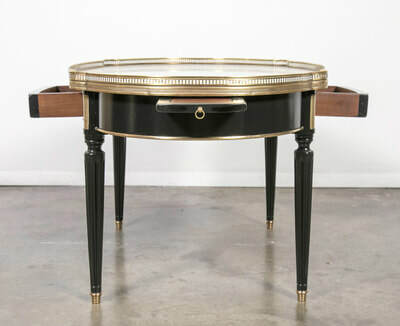 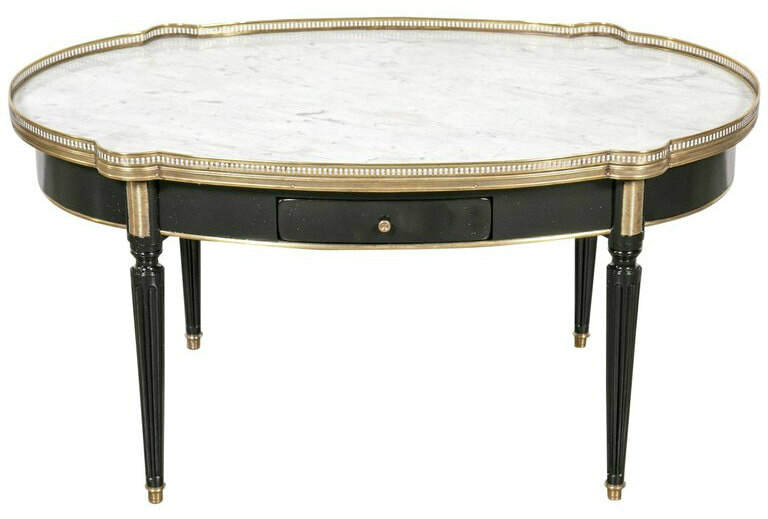 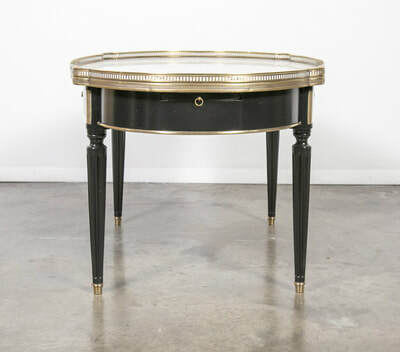 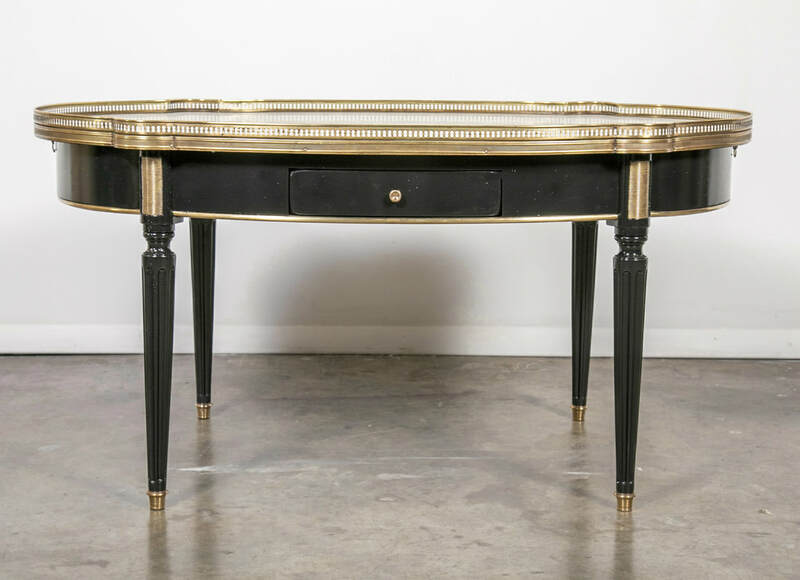 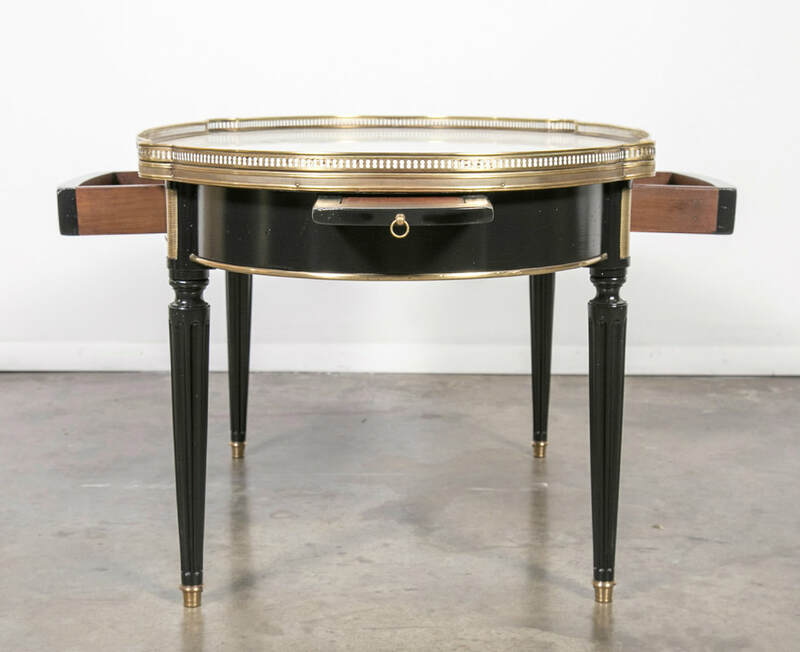 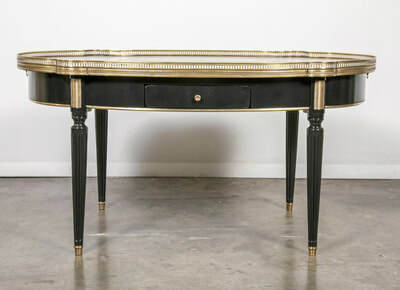 Exhibiting clean lines that work in countless styles of decor, this elegant cocktail table is a fine example of the high quality workmanship and style of this highly sought after Paris atelier.